Storing cheese presents a conundrum: As it sits, it releases moisture. If this moisture evaporates, the cheese dries out. If the moisture is trapped, it encourages mold. Cheese, properly stored, keeps longer, and that means less waste and expense. The goal is to keep air out without suffocating the wedge in plastic. Specialty cheese paper avoids this problem with a two-ply construction that lets cheese breathe without drying out. However, it is not readily available at most local markets. The best home method to store cheese is to use waxed or parchment paper which is loosely wrapped with aluminum foil. Both papers wick moisture away, while the foil cover traps just enough water to keep the cheese from drying out. Wrapped this way, even super-perishable goat cheese keeps for about a week, and brie and cheddar were can last potentially for more than a month. 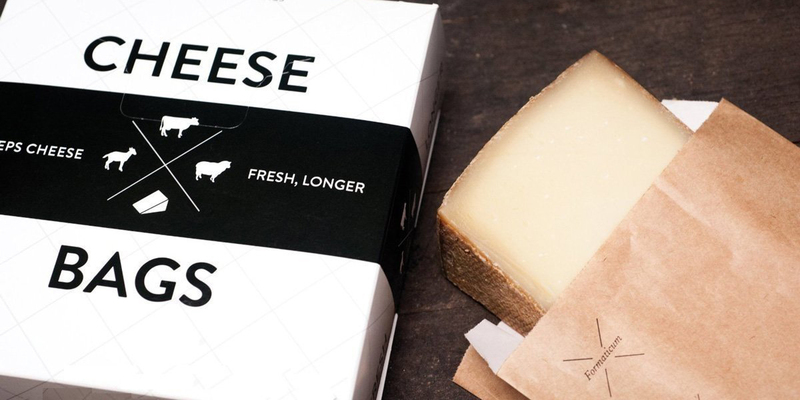 Cheese paper extends the life of these cheeses by only maybe a few days more. Egg whites should be whipped immediately before needed, as their delicate structure necessitates their immediate use—particularly if beaten in a mixer. There are also two ways to futher help stabilize the egg whites: a copper bowl and cream of tartar. To a lesser extent, sugar also helps to stabilize egg whites because it delays water evaporation by attracting moisture, giving the eggs protein structure more time to set up. The whites can then be beaten longer without harmful consequences. Egg whites are finicky and demand optimal conditions for whipping. A mere speck of yolk, oil, butter, or other fat captured in the whites will markedly reduce the maximum volume the foam can attain, as fats obstruct the formation of the whipped eggs to the desired consistency and volume. It is essential to keep egg whites and all equipment that will come in contact with them—bowl, whip, spoons, and spatulas—fat-free. If fat is to blame when a batch of egg whites refuses to whip up, the damage done is irreversible. There’s nothing to do but clean everything up and start over. Separating the eggs is the next important step. Eggs separate most easily and cleanly when refrigerator-cold because the yolk is firmer and so less likely to break. It is best to take the chill off the whites before whipping. 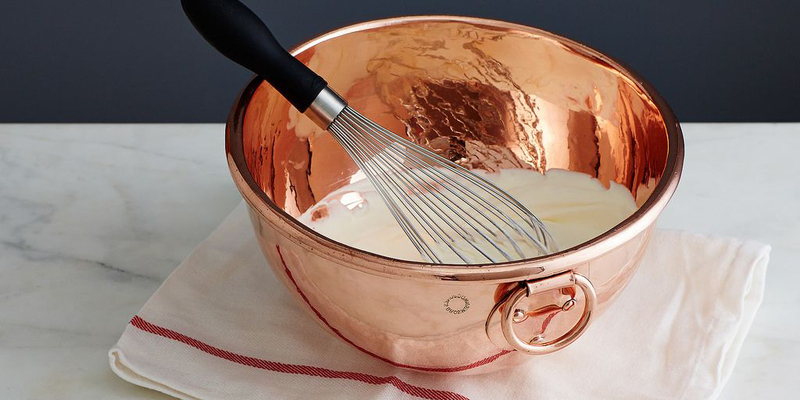 Your choice of mixing bowl will also affect your success with whipped whites. Bowls made from plastic, a petroleum product with a porous surface, retain an oily film even when washed carefully and should not be used for whipping egg whites. The foam will never reach its optimal volume, no matter how long it is beaten. Glass and ceramic should be avoided as well, as their slippery surfaces make it harder for whites to billow up. Aluminum, which tends to gray whites, should also be avoided. The two best choices are stainless steel and, for those who have it, copper. Recipe: Homemade Marshmallows – With Flavor Options!